Listed below are my personal rankings of New England's top 15 urban centers. More importance was placed on metropolitan populations over actual city counts because I believe it is more realistic reading of a city's true stature. Other factors involved are regional importance, transportation assets, downtown stability, sports teams and entertainment venues, education opportunities, and tourism. Some of the close calls came down to where would I rather live and if the city has the "it" factor. Positions 7 through 10 were the toughest to put in order. Notable snubs went to Stamford, CT due to it's perception as a NYC commuter city, Danbury, CT due to being too close to Waterbury, Lewiston due to it's unfair rough image and not carrying the same clout in Maine as Bangor even though it is the second largest city in the state. Nashua and Concord are next door to Manchester. Rutland, though it is important to central Vermont, it is just too small. Same issue with Presque Isle in Northern Maine. Fall River is unfortunately stuck in between New Bedford and Providence. New London, CT and Newport, RI just missed the cut due to the cities above it being a little more relative in my opinion. Bridgeport and Worcester both made the top ten due to their size and historical significance as an old school New England powerhouses in manufacturing and grit. I have visited each of these cities numerous times and feel that you can't rank them if you have not seen them! And yes, I did put Manchester ahead of my hometown, but just barely. It's larger airport, first class arena, and impressive population growth over the last decade edged out my choice of where I would much rather live. Let the debates begin! I understand the urge to snub Stamford CT, but I don't think an honest list of top 15 New England cities can leave it off (but still include Pittsfield!). 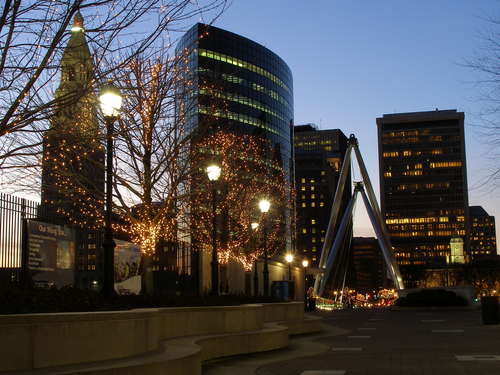 Its economic significance is probably similar to Hartford's. I need to make sure everyone understands that these cities are ranked based on their regional impact and overall importance to New England. Overall size/population normally carried a lot of weight in the decision making which is why most of the larger urban centers fill the top slots. If I ranked them as my favorites, the list would look totally different. Shepard, I agree that Stamford is a major corporate player along the southeastern I 95 corridor but I classify it as a smaller version of White Plains and is just too close to New York for my rankings. Pittsfield made the list due to it being the largest city in the Berkshires/Western Massachusetts region and it's popularity as a tourist destination. I do agree that there is no contest between their individual impact. Bangor made my list for the same reason, it's importance to central and northern Maine. Being located 132 miles north of Portland and having the second busiest airport in the state scored big points for a city of only 31,000, not to mention the home of Stephen King and Hollywood Slots!. I'd put Providence way ahead of Hartford, given that it is a seaport, on the Amtrak Northeast Corridor, home to Brown University and RISD (and several smaller schools), and has a fairly intact and lively center city. Being a state capital is about the only thing that it ties Hartford for. regarding the suggestion of Portsmouth NH: I understand the sentiment, but it is a tiny little city. Hartford and Providence were almost a toss up. I gave the edge to Hartford due to it's slightly larger airport, much larger arena and convention center, more impressive skyline, bigger city feel, and it's distance from Boston makes it more independent than Providence. In addition, I feel Hartford's name recognition outside of New England is stronger due to the insurance business and being the home of a former NHL franchise. The port is a big plus for Providence, but as in Portland's case it was not enough for me to put it ahead of Manchester. Now that said, I would select Providence over Hartford if I was choosing a place to live. I also realize that Bradley is a greater distance from central Hartford than T.F. Green is from central Providence, but that is how airport locations work sometimes. Remember, these are my rankings and there will be no unanimous agreement with everyone. Would be nice to see other lists from other fellow urbanologists! I think my top ten is pretty solid? I love stuff like this. Not only does it stimulate conversation, it really highlights the factors people view important when it comes to a great city. I understand the snubs, and I understand the leaving out of smaller places that might be nice to live but lack regional importance. However, for the record, I think cities and towns like Exeter, NH Portsmouth, NH and even Kennebunkport, ME are amongst some of the greatest and most livable "places" around. Also, you wrote: "Other factors involved are regional importance, transportation assets, downtown stability, sports teams and entertainment venues, education opportunities, and tourism." I think this places Portland ahead of Manchester (no slight to Manch). Portland is much more important regionally than Manchester, is linked by rail to Boston, has a tremendously more stable Downtown (one of the most stable in New England, IMO), has a more established Art college in-town, as well as a medical school/pharmacy school, a sizable commuter university with several decent graduate programs, and a law school. We also have the minor league affiliates of the Sox and Celts, along with Pro Hockey, and we are a huge tourism destination. I know I am stating the obvious to you (Portlander), but I am just throwing these things out there to see what others might have to say about these things. I also think Worcester should be #4. 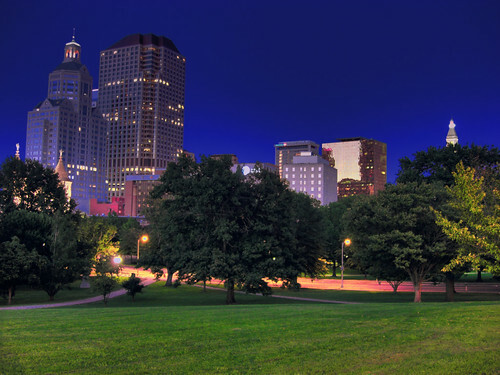 It is the fastest growing metro area in Massachusetts (or was before the bust). Springfield is very close to Hartford, and only has a couple of glitzy skyscrapers surrounded by poverty. I think Lowell should be ahead of Manchester, too. Bigger educational institution, bigger population, closer to Boston, and has shown impressive foresight in the urban planning realm with their new adoption of form based coding for the canal area. Burlington might be higher in my list, too, because of the University, Med School, several smaller and local colleges, and a regional significance that is almost unmatched by any city other than Boston. The cultural opportunities/amenities there are also quite high per capita. This list gets tricky, however, because it is tough to stay on track with places that are significant as urban population centers versus places I would want to live, like you said, so I don't know if my ranking is following the criteria exactly in the right way. But for what it's worth, those are my two cents! Worcester is sad, how did it gets its ranking there? I understand it is big, but the city itself is lacking yet has so much potential. Great observations Patrick. I'll start with Manchester vs. Portland because it's such a close call. Manchester has a much larger city population, 109,000 to 64,000, but Manchester's land area is 32 square miles to Portland's 22 square miles. Portland's MSA (#99 @ 517,000) is bigger than Manchester's (#127 @ 407,000) but Portland's covers a greater land area. Portland does have the beautiful Merrill Auditorium and a first class symphony orchestra, the New Hampshire Symphony has stopped performing at last check. As previously noted, the Verizon Wireless Arena embarrasses the Cumberland County Civic Center and both cities are lacking true convention centers. Both AA Eastern League stadiums in each city are close in capacities and amenities, Portland does have the Red Sox affiliate however. Manchester's airport is much larger with (#70 with 1.7 m enplanements) compared to Portland's (#90 with 871,000 enplanements). This gap will close some upon completion of Portland's 140,000 sf terminal expansion slated to open late 2011 which will add Southwest Airlines to the mix along with the possibility of additional service from another airline. The Portland Museum of Art is larger and has more members than the Currier Museum of Art, both museum's permanent collections are fairly equal in status. The new addition to the Currier is excellent. Portland has a huge head start in the establishment of an arts district. Manchester has a taller skyline with two 20 story structures, but Portland has twice as many buildings of at least 10 stories or more in the downtown area. Downtown Portland is more attractive and has more commercially viable streets in it's business district than Manchester. Portland's Old Port is one of Maine's top tourist draws. Manchester's mill district is up and coming but is severed from the Elm Street corridor. Manchester has the Merrimack River, Portland has the Atlantic Ocean. No brainer there. Portland has Amtrak service. Manchester has a slightly better interstate system through and around the city though some would argue as a negative. Impressive large cruise ships dock on the Portland waterfront, the same ships cannot get up the river to Manchester. Portland has a view of unattractive oil tank farms on the South Portland side, Manchester does not have this eyesore. Portland has the University of Southern Maine located a short distance from downtown which gives the city a more youthful appearance than Manchester. Portland appears to have more homeless people walking around the city than the Queen City. 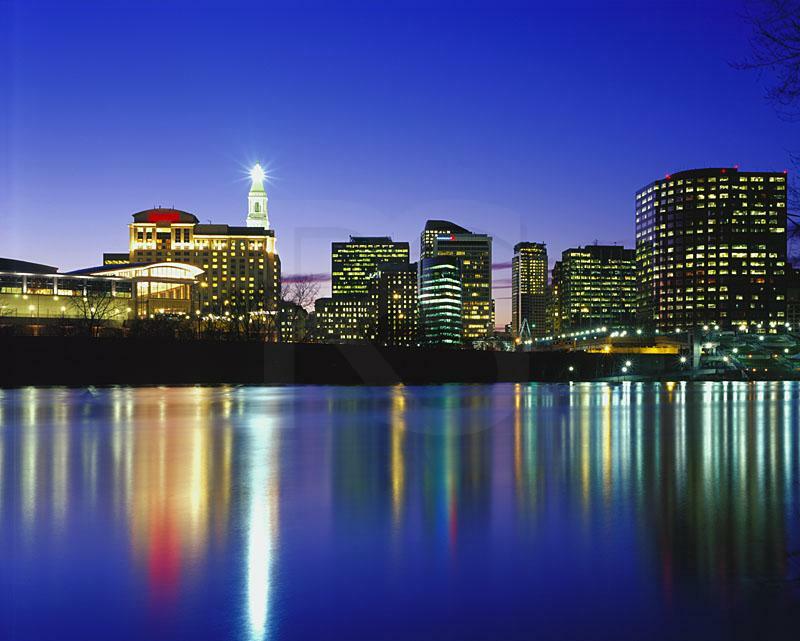 Manchester is a planned company mill town, Portland is a historic seaport. Portland is 108 miles from Boston, Manchester is only 54, advantage Portland for regional hub status and advantage Manchester if you love visiting Boston on a regular basis. My brother lives on Manchester Court on the outskirts of Cincinnati and it annoys the hell out of me! So there are the comparisons, we will let the people make the call where each city belongs in the ranking. It is still a toss up to me, but if I would have put Manchester behind Portland I'd be busted for hometown loyalty. MonopolyBag. Worcester's size, the DCU Center, convention facilities, Holy Cross College, major new downtown projects, and it's central New England location helped it's ranking. I would have a hard time placing it further down the list and Patrick actually thought it should move up to #4. Got to give it up for those large traditional New England hub cities! Manchester does have a larger population in its city proper. However, as you quite rightly indicated, Portland is smaller in land size. But, even adjusting to incorporate, say, South Portland (which would give Portland about the same land area as Manchester), Portland still has fewer people. Manchester is, overall, a larger city. Not surprising given its location closer to the Bos-Wash megalopolis (arguably, it is the northern tip of that stretch), and given the fact that it is still in many respects a ?working-class? city. Portland has a downtown that is largely working class, but as a whole it is quite middle class, and even suburban (especially after one gets into the ?new? areas of town that were developed after the streetcar, like North Deering). Even parts of the peninsula are gentrifying, with housed which at one time houses several families now occupied by a few couples, perhaps a landlord and a college kid, empty nesters, or worse (for population density?s sake), bed and breakfasts. In this respect, Manchester is superior to Portland. It is still a ?working city? in the sense that people depend on it for their livelihood. In Portland, we have business, but people could just as easily work elsewhere, like the mall. And they do. And housing follows. Portland had a peak decennial census population of nearly 80,000. That figure was from a period many residents feel nostalgic about. The streets weren?t as pretty, the tourists hadn?t come, but the community was thriving. Manchester appears to be in a similar state, or perhaps emerging from it. In my earlier post, I forgot to mention Saint Anselm?s college in Manchester, which I sometimes forget is in the City. It is so rural (good for the college, bad for the city in terms of integration). USM in Portland, on the other hand, is urban (not necessarily the good type of urban, but urban nonetheless). It has gotten much more urban recently, in that the warehouses along Bedford Street were replaced with a new parking garage (which blocked a great view of the downtown spine when coming into town), the new Abromson Center, and the New Muskie School and Osher Map Library addition. And, there is a CPCOG sustainability grant that should, I believe, be put toward a study of how to make Forest Ave. more pedestrian friendly (more of a "complete street" to use planning jargon). Should that happen, the USM campus in Portland will be greatly urban. I've always wondered why it wasn't put downtown to begin with. Too close to the city to be truly rural, yet too far away to be truly urban. Yet it is closer to the city than to the country, so it might as well get on board as an urban institution. You are also right about metro areas, and how they are shaped differently. Portland has the largest metro north of Boston, but that?s because Manchester?s excludes nearby Nashua. And, in fact, most stats I see place Manchester in the Boston CMSA. I think ultimately comparing Portland and Manchester may be like comparing apples to oranges. It is tempting, given that they are the only two real cities of note in their shared geographic area, but there are too many differences. Most people in both cities agree that they want a better city. They have different histories, though, and so take different approaches. Portland had an arena far before Manchester, and it was larger than anything in Manchester until a few years ago. Manchester has been able to pull off what Portland has not, however, because Portland is in an identity crisis. City officials and leaders, in my opinion, are wondering if we are a tourist destination or a commercial center. And they don?t know how to balance the two interests if the answer turns out to be: both. Also, people in Portland are gradually becoming less ?native? and more ?from away? (as we say). This is good in that it brings a cosmopolitan sense of amenities from other, larger cities. But it can be bad in that many of the same people want to freeze Portland where it is. Manchester also has many people ?from away,? but they aren?t from that far away, and their reasons for being in that city differ from the reasons outsiders come to Portland. In Manchester, Boston people come to do business. When they try, their ideas are more likely, it would seem, to be accepted. In maine, Bostonians come to relax. On the rarer occasion when they come to do business, they are viewed through a suspicious lens/ There is, in fact, an entire article on this subject written by a gentleman whose name eludes me at the moment (a columnist for the working waterfront), and it suggests this attitude has something to do with our history as more or less a colonial subject of Massachusetts. Maybe, maybe not. But the fact is that, when Boston investment firms try to do business in Portland, they are viewed skeptically. Their projects are too big, too tall, too whatever. Manchester probably doesn?t react the same way because, well, it practically is Boston itself. This is just a theory as to why that city might be able to tap into its location in more of a strategic way than Portland. Its an uphill battle in Portland. As to the convention center business. I don?t think either city will see a new convention center. In fact, I don?t think many cities will, other than the global cities. The fact is that most business is conducted online now, and the need to meet in person is diminishing with every new smart phone that is developed. Of course, I could be wrong. But that?s my hunch. Actually, I heard it elsewhere, but agree with it. As for the airport. Portland?s is a regional airport, whereas Manchester?s is a supra-regional. Portland?s serves Maine, whereas Manchester?s serves NH, ME and MA. It was designed that way by agreement with regional airports in RI and Logan, to allow expanded capacity of Boston-centric traffic without cramming it into the max-capacity Logan. Again, this is what I have heard, and I am no expert, but I tend to agree with it because it sounds logical. Feel free to correct me, anyone, if I have misstated the facts. Again, apples to oranges (though a fun comparison, for sure). As for the colleges. I agree about USM giving Portland a youthful appearance. However, from personal experience I get this in Manchester, too. SNHU is nearby (or in the city), and a lot of Portland youth go there as an alternative to USM. That?s neither here nor there, just an anecdotal observation. I think Portland?s urban design facilitates more of a critical mass of gathered youth in the Old Port, whereas Manchester?s linear layout makes it hard to observe what might be a similar number of youth (plus the draw to Boston must be, I imagine, much greater in Manchester). I agree about the homeless wandering the street. Not only is this bad for business, it is a public health issue. The homeless need to be sheltered and steered away from tourist locations. Yeah, and about the hometown loyalty, you know as well as anyone else I am probably already guilty of favoring Portland for that reason, but take that as a given and adjust my thoughts accordingly. I still think Portland comes out on top, but in no way does that make Manchester insignificant. Just like Boston is better than Portland, but Portland is no worse off because of it. The only difference is that as between Portland and Manchester, the decision is obviously much closer than as between a place like Portland and Boston. And for the record, I don?t think Stamford has any business on this list (I.e., I totally agree with you). Stamford is NYC perhaps more than any other city in New England. The other CT cities are pretty close, too. Last edited by Patrick; 12-26-2010 at 10:47 PM. Patrick, your paragraph addressing the different mindset of the two cities and Portland caught up in an identity crisis was dead on. The newcomers that have moved to this area from larger cities to the south want Portland to remain quaint, charming, and manageable. These same transplants are very active in the arts and other projects that are culturally hip, but Portland was built on banking, medical, shipping, insurance and light manufacturing. These two worlds tend to clash from time to time especially when new developments and outside the box projects come into play. Also, the Manchester MSA does include Nashua in it's population figures. You are correct in that the Manchester-Nashua MSA falls under the Boston-Worcester-Manchester CSA. Portland's MSA includes Biddeford, and it has it's own CSA which includes Lewiston/Auburn. I think we need to hear it from a neutral third party. Actually, I don't need to hear it at all. I am completely secure in my view without having it validated by an external source, as I know you are as well. Truthfully, I think despite their interference with some of the larger growth issues, these "outsiders" have done more good than bad. I am just glad Portland got to be a sizable city (in relative terms, at least), before it was frozen. Large cities can in fact still be "manageable." Look at Curitiba, Brazil (if you are unfamiliar). One of the most efficiently run cities in the world, with one of the best public transportation systems in the world (at one of the cheapest costs), in a developing country. This city also has one of the highest qualities of life around. And it is a few million people, skyscrapers and all, built around the pedestrian, with walking malls downtown closed to cars, etc, like Burlington, VT. America is so behind in Urban Planning, and it suffers from negative memories of urban renewal coupled with a strong democratic process to express those feelings, and this all = stalemate. Really, you only get one chance to get development in America right, otherwise you will hear about it the next time around. This has pros and cons. The pros are, I would think, self evident, whereas the cons take a little more thinking about. Anyway, Portland may or may not be able to shift some of the growth it would otherwise experience into places like Bayside, and that's why I like that neighborhood so much--not gentrified (yet). How about top 15 skylines? Then we could include Stamford. Last edited by Patrick; 12-29-2010 at 10:05 PM. OK, this is kind of tough, because one can take a very good picture of a not so good skyline. Boston of course is the best round here, but I found this a while ago. I'm not sure I agree you can take a good picture of a bad skyline, although I understand what prompted you to make that statement. Some skylines are only good from a certain angle, and that angle doesn't always happen to be easily accessible. For instance, Portland's best angle is from the Harbor, but unless you are on a cruise ship or in a very sleepy part of the town across the river, you won't see it unless you are viewing a postcard. Here is a better view of the Portland one I captured above, straightened out (I'll delete the first one). here's what I have collected for Hartford, although I have seen better one's in the past. I assume most people are familiar with the renderings of what Hartford could have looked like had all of the major skyscrapers proposed there in the 1980s been completed? If that were the case, it would have the tallest building in New England to this day.